The picture above is that of ancient Aztec pyramids at Teotihuacan, Mexico. 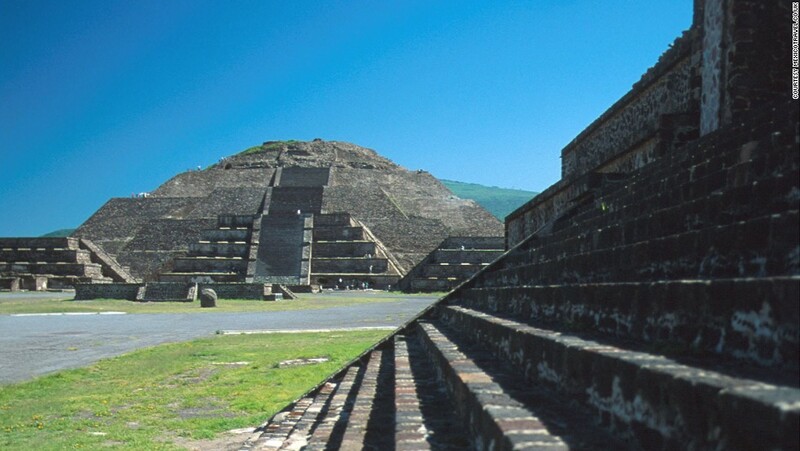 Teotihuacan means, "the place where men become Gods." The most famous of these is the Pyramid of the Sun and is considered to be the third-tallest pyramid in the world. This structure, as well as all the mighty structures built by man, is a natural outgrowth of his God-given abilities to dream, design, invent, or build. Sadly, this image also reflects what happens when man determines he is greater than God, can become a god, or thinks he doesn't need God. Our Explore the Bible Study: Scattered! focuses on this very situation as it unfolds in Genesis 11:1-9. The teaching plan includes ideas to help introduce the study and some tough discussion questions to help the group LOOK IN to the Scriptures, and it concludes with the illustration of the Aztex temple at Teotihuacan, Mexico. In our age of great achievement and ingenuity, we need to remember the gifts of creating, inventing and building are God-given, and should be used to honor Him. Man always has and will continue to accomplish great feats because of how God created him, but without obedience, humility, and a relationship with God, those feats only lead to man becoming less and less godly.